What if designers could quickly access over 30,000 of the world?s very best fonts, from any device? What if creatives could nail any conceivable design brief by easily finding the perfect font ? and be inspired by stunning visuals and full-colour type specimens showing it in context? Introducing the all-new HypeForType website: a fully responsive, carefully curated showcase of the world?s best fonts, packed with cutting-edge new features and functionality to make it faster, easier and more enjoyable than ever to find the font your designs deserve. To mark the launch of the site, founder Alex Haigh has meticulously added 8,000 new fonts to the shop, plus a further 20,000 new webfonts. These run alongside its impressive roster of fonts exclusively created for HypeForType by leading designers including Alex Trochut, Si Scott, Craig Ward, Anthony Burrill, Rick Banks, HelloHikimori, Jon Burgerman, MusaWorkLab, Non-Format, MWM Graphics, Pablo Abad, Research Studios, Serial Cut, Sawdust and Vault49. Visitors can browse fonts by popularity, recently added, best sellers, style, sale offers and even by foundry. But the launch of the new website isn?t just about creating a better shopping experience: for Haigh, it?s all about the community. Take the new Fonts In Use section. When it comes to choosing a font, context is critical ? so HypeForType has launched a brand new display area, shining a spotlight on brilliant user projects that use the foundry?s fonts. ?It shows off the great work our customers are producing with our fonts,? explains Haigh. ?It stands as a major source of inspiration and, most importantly, a completely fresh and dynamic new way of shopping for your next font.? Over two years in the making, the new HypeForType website is a world-class font shop that boasts the technical prowess of other leaders in the field, while visually sitting in a league of its own. all as we are visual people, and we desire visual things.?  ?Ultimately we now have a site that’s technically as strong as the mainstream font retailers, but visually stronger – and we also have a range of exciting new features that no other font shops has.? ?Why should people come to HypeForType instead of MyFonts? Maybe because it’s owned by an independent designer who has dedicated more than 20,000 hours of his life to make the design community a better place. I?m incredibly passionate about what I do, and I want to create the best online font shopping experience possible.? 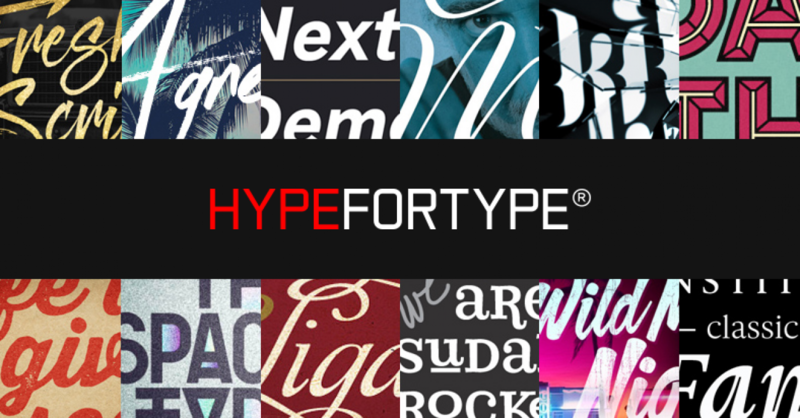 HypeForType is the UK?s leading font shop and an ever-growing hotbed of top typographic talent. Showcasing over 30,000 beautiful, affordable, world-class fonts, HypeForType also provides a platform for keen-eyed creatives to quickly try, buy and download unique, handcrafted fonts to complement their work. Founder Alex Haigh started his career as a junior designer in 2007 at London-based advertising agency Mook, before landing a freelance art director role at global agency AKQA within the space of two years. Fed up with the dreary selections offered by traditional online font shops, he founded HypeForType in 2009. ?Staring at endless black-and-white specimen became very dull, and I felt like the people who were behind the mainstream sites didn’t really care about design,? he recalls. ?I care passionately about design, and as much attention to detail goes into the display of each of our fonts from a visual aspect as it does from a technical one.? ?If we receive a submission that’s technically strong but the graphics are lacking, we will work with the foundry or designer to improve this for our customers. Ultimately, it’s about making everything on the website as visually strong as possible, so both the type specimen and the typeface itself output at the highest possible quality. ?